Hi All – how’s it going? Have you blogged on any of the topics that were suggested this week? A session that you have had with one student: what happened? What were the outcomes? A taught session or Master Class that you have delivered as part of your work as a central or local service: explain both your situated context and the session. An intervention that you have delivered in a discipline class or as part of an extra-curricular programme – with situated context and details of the session. A meeting with a Faculty individual or team: how did the meeting come about? What did you discuss? What will be the outcomes? A staff development or support session: what have you delivered and why? Any reading that you are doing at the moment. This can be your formal academic reading and/or the blogs and Tweets that you follow as part of your academic development: what are you reading and why? Which type of reading do you prefer at the moment? What tips would you give other people? If you have; put a brief Comment in the Comments section on what you did and why – adding the link to that specific post. You might also want to add a brief reflection: What did it feel like to write that particular post? Also – did you force yourself to tell people that you have posted? How did you do it? Are you Tweeting, Google plussing or something else? Again – please tell us what you did and what that felt like? And as before – KEEP BLOGGING!! I’m Sandra and my post about blogging is less to do with the tools themselves (my limitations rearing their many heads); instead I am discussing the ‘why’ of blogging for Learning Developers: blogging as part of your own practice and blogging as practice to develop in students. There are many reasons for blogging as part of your professional practice: to articulate and promote your professional self; to reflectively explore your own practice; to initiate and develop conversations on topics related to your practice; to use a quasi-formal/informal academic space to develop your own voice. I have two blogs on the go at the moment: my learning development one: http://lastrefugelmu.blogspot.co.uk/ and the one that accompanies my most recent teaching: http://becomingeducational.wordpress.com/; I am enjoying writing both of them – and find different ‘voices’ emerging at different times in my writing. Many of you have been astonished to discover that that blog out there with your name on it, is in fact owned by you. So we start and stop blogging. How can we overcome the tendency, urge or desire to stop blogging? For me the push came from being deleted at work. This huge interruption to normality, gave me permission to finally play with the Social Media spaces that I was supposed to be using in my LTA practice. I opened a Twitter account, I re-surfaced my FB account – and I found my old discarded blog. Yes, I had done that too. I started it up again with something that I really wanted to say: blogging about the deletion of an LDU… After a while I started to develop a blogging habit. I started to enjoy the fact that this space allowed – even enabled – a different academic voice to emerge. A voice that for me was more mine than that exhibited in a paper or chapter. Instead of feeling vaguely unsettled and ill at ease with this, it started to be part of the point of blogging. Give yourselves time to develop a blogging habit. Give yourself space to experiment with your blogging voice. Give yourself permission to play with the content and the form of your blog. Give yourself a blogging schedule and keep to it until it becomes more normal for you to blog than not to blog. As well as blogging about LD5D, a great way to develop your blogging self is to join more MOOCs (massive open online course). They are free and exciting. Follow a passion and blog about your own learning. Make conscious the implications for your own future practice and experience blogging the same way that many of your students will. Tip: Check out: https://www.coursera.org/courses. Once you have blogged about your learning, you might blog about your practice: about what you have done at work – and why. Although this may seem the most obvious place to *start* blogging, a natural reticence seems to prevent this from happening. I’ve offered some tips below. Remember that blog posts, unlike essays or formal academic papers, are best short, say 500-800 words. This is manageable! There is also the option of group blogging or guest blogging to maintain a blogging presence without having to write too often (which is what Helen Webster does). And don’t forget that (we hope!) 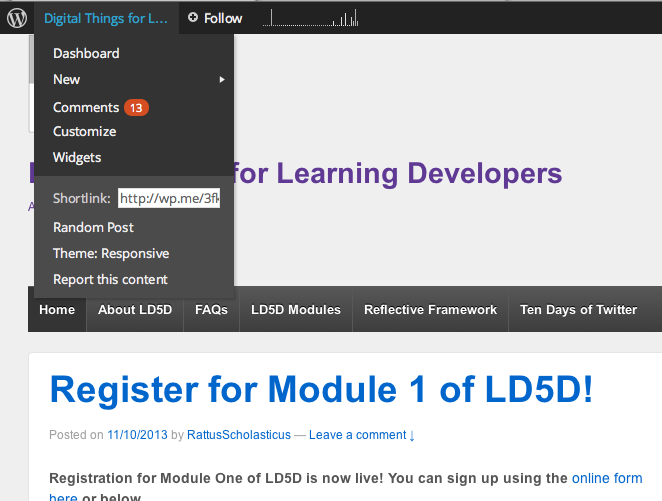 there will be future LD5D modules, so you can blog as part of those. Finally – it would be great to set up a community of Learning Development bloggers and stream the content through the ALDinHE website perhaps. Let us know if you are interested in this. Blogging their reflective learning journals develops student learning through the act of writing for real audiences and helps students to realise that academic writing is about having something to say. Loved this post by one of our first year students on his preliminary field work for real research project: http://moa1484.wordpress.com/2013/11/05/imaginary-friend/. Digital Storytelling – #ds106: Rather than telling students how to blog, encourage them to investigate what a blog should be via exploration of the #ds106 website < http://ds106.us/> and use of the blogging handbook: http://ds106.us/handbook/blogging/. On our #becomingeducational course, we ask our students to explore the whole #ds106 site and develop their own strategy for developing their digital selves. Student quad-blogs: Organise the students into groups of four (quads). Each member of a quad has to read and comment upon the posts made by the other students in their group. This builds a sense that there is an audience there, reading posts. It helps build the sense of voice and writing with a purpose. Student Projects and self-directed learning: Nerdy Teacher requires his students to set themselves projects – and blog about their progress… In this particular post he cites a student meta-reflection – an epiphany about learning that happened through this process: http://www.thenerdyteacher.com/2013/10/20time-makes-difference-edchat.html. How will I know if my blog is any good? You can evaluate your blogging the way you might engage in any LD5D activity – see: https://ld5d.wordpress.com/reflective-framework/. There is another and typically much more unsettling way of judging the success or efficacy of your blogging: counting the ‘hits’ you have had. When on #edcmooc (Edinburgh’s E-learning and Digital Cultures), we were asked how our readership had changed if blogging the MOOC – and I noticed that my readership had changed. Whereas I normally posted to no one and their donkey; my readership tally across the four weeks of the #edcmooc rose to about 2000 hits. So, one way to reflect on and evaluate the success of your blogging might be to check your stats – and see how your readership grows. If this bug really bites, get experimental with where and when and how you post – and then track what happens afterwards. See if there is a difference to your readership growth depending on whether you posted to Twitter on a Monday afternoon or Google+ on a Friday morning. Post a link to your blog in different online spaces: FB, Twitter, Google+. Make sure other people know that you are writing. Tell others on your MOOC, especially via the places within those spaces that are dedicated to the course or MOOC. And if all this has appalled you: then perhaps devise your own evaluation criteria for your blogpostings: did you get to say what you wanted to say? How long did it take you to go from rough draft to post proper (set and keep to a writing time limit here!)? Are you keeping to your own publishing schedule (once a week – month – three months)? If not – what are you going to do about that (revise your schedule – start a MOOC and blog about your learning – share the posting with a colleague)? Are you keeping to a word limit? Are you happy with your word limit? What are you going to do to make sure you keep blogging? And finally – KEEP BLOGGING!! Just thought I would check in to see how everyone is getting on with crafting their online presence. Has anyone Googled themselves and found anything unexpected? Hi, it’s Michelle here (Shelldaynight to give away my blogging and Twitter persona), I am taking over for Week 4. Step 1: Review what you’ve made available about yourself online. Make a list of the online platforms you’ve ever signed up to: ones you’re currently using and those you’ve abandoned…. Step 2: Get spring cleaning! Out of date, inactive profiles don’t look so good, so you’ll need to tidy up; make some decisions about what to keep and maintain, and what to delete. There may be a good reason to keep some platforms which you aren’t particularly active on. For example, if you can maintain a relatively up-to-date profile on platforms such as LinkedIn, with automatic updates from your more active web presences (e.g. a blog, twitter or other platform) and clear links to where you can primarily be found, then these little-used sites might be worth keeping. Likewise, abandoned blogs with entries which might still be of interest and use to people might be better kept than deleted as they will be another route to direct people to your main presence online. However, if you don’t intend to do a basic level of maintenance to keep them more or less up to date, then it might be worth deactivating or deleting where possible. You can also delete individual posts which might reflect poorly, irrelevantly or inaccurately on you. Of course, its not always possible to entirely get rid of online material, as it will likely have been archived somewhere, but this will help to make it less accessible. Step 3: Review your privacy settings on social sites. This is particularly relevant on sites such as Facebook. Facebook privacy settings change constantly, and the default setting is almost always public, assuming that you will automatically want to opt-in to sharing, rather than opt-out. This guide from Lifehacker talks you through the things you need to check. The main things to check are in the ‘Privacy’ and Tagging and Timeline’ menus. Check that your privacy settings state that only ‘Friends’ (rather than ‘Friends of Friends’ or ‘Public’) can see your posts and timeline, that your profile and timeline cannot be searched by Google or other search engines, and that you must be notified of and approve any photos etc which other people have tagged with your name. Once you’re done, you can see how your profile will look to others from the outside. Make a habit of Googling yourself, to see how visible various aspects of your online profile are. Monitor also if there are any new materials about you which others have put online. You should check too if there are things about people who share your name, which might need disambiguating from your profile. To make this easier, you can set up a Google Alert, which will save your search, perform it automatically at regular intervals, and email you any results. You could also search social media search engines such as SocialMention or Technorati. If the highest and most recent ‘hits’ on Google are out of date, for example, relating to universities where you studied or worked previously, then you’ll need to request that your current university has a page for you, or that irrelevant old material is removed, by contacting those who run the website. If this isn’t possible, you’ll need to do some work yourself, to create new, more relevant and more visible content. Google’s Webmaster resources are a good place to start and learn more about search engine optimisation. Think about your metadata – other than your name, what terms are people likely to use when searching for someone like you? Start from the perspective of the various people who might be searching. You might find the autocomplete suggestions in the Google search box useful, or try the keywords suggested for your research area in library catalogues (Cambridge’s LibrarySearch has a useful wordcloud feature). This link might suggest further useful tools. Use this metadata when setting up a profile, creating a webpage, or when tagging blogposts and other media such as videos which you upload. Interlink those aspects of your online profile that you wish to be visible. Google ranks ‘authority’ sites such as those with university URLs (e.g. .ac.uk or .edu), and the main social media platforms which generate high traffic (such as LinkedIn) most highly. You could also consider which web pages outside academia have the most authority, relevance and impact in your field, and link to those. Linking between these will help them to appear prominently in search hits. These steps cover the essentials of monitoring and managing your online profile – even being invisible online takes work these days! Work through these steps to make sure you’re developing your online presence from a good starting point. Keyskills: How easy was it to find, clean up and update your accounts? How easy was it to decide which privacy settings would work for you? Profession-specific: What professional persona do you want to portray? Does your current online presence portray you in the way you want? What steps do you need to take (if any) to improve your professional presence? Evaluation: How comfortable are you with being visible online? Would you prefer to stay as invisible as possible and ensure that your online persona is strictly professional? Or do you agree with this view that privacy is a modern concept which is overvalued? Integration: How much time do you think you need to give to ensure your online presence is kept up-to-date and relevant? As there aren’t many people on our LD5D Community Page on Google+ (although some useful conversations) I thought I would just check to see if there was a problem. Are the instructions unclear? Do people hate Google? Is everyone just loving WordPress? …Or is everyone just really busy? We aim to keep the Community running so do stop by when you get a chance. This week we’re going to explore Google+, a social networking site where you can share content, like Facebook, but which gives you access to more tools. 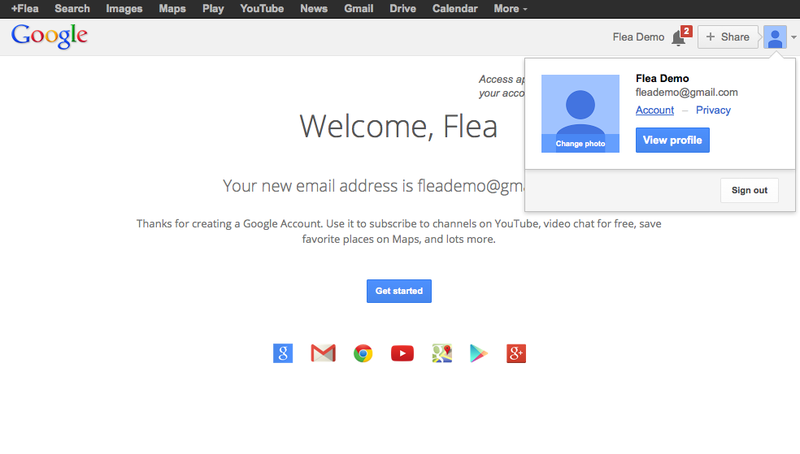 This will involve creating a Google account, adding some Profile details and joining the LD5D Community. Google isn’t just for searching anymore! Having a Google account gives you access to a range of tools, many ‘in the Cloud’, meaning they are web-based so accessible from any computer or mobile device providing you have an internet connection. The video below illustrates how Google+ works. The video is 2 years old now and Google+ has integrated more Google products. It should give you a general overview though. 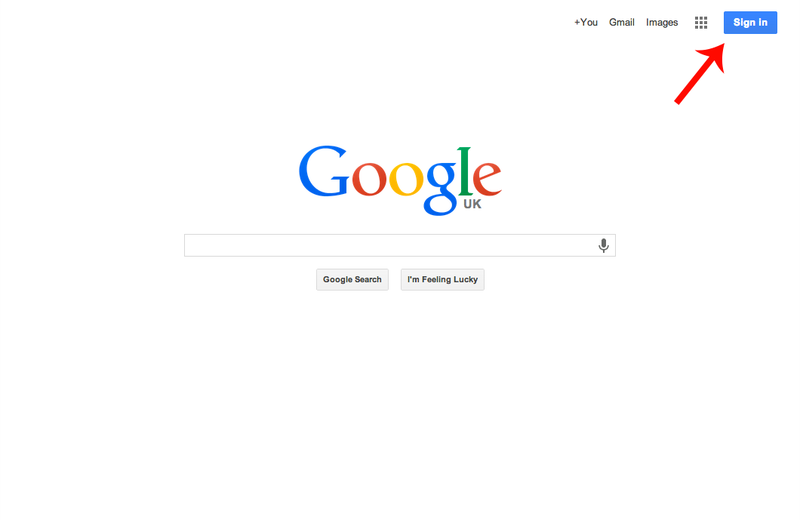 Go to http://google.com and click on the ‘Sign in’ button. Complete the registration form. You will be prompted to choose a username and offered a gmail (email) account. You get a whopping 15GB of mailbox space so I would recommend having gmail! These tools are also available by clicking on the grid icon next to your photo. The bell icon is where you will find your notifications. Click on +YourName to continue setting up your account. You will be prompted to Add people. Skip this step for the moment. Click through, adding details in the ‘Be awesome’ section if you wish, and click the Finish button. 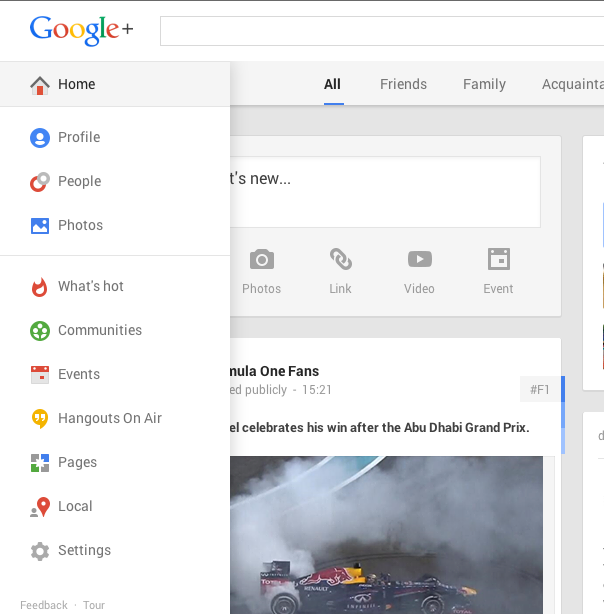 You are now on your Google+ Home Page. Your page is currently filled with ‘What’s hot’ but as you start connecting with people and communities it will display their posts. People who you share things with are organised using ‘Circles’. You can filter what you see by clicking on the pre-defined ‘circles’ (All, Friends, etc…) menu across the top. You can have as many circles as you like so that you can collaborate with specific groups. Hovering on Home will display a drop down menu. Select Profile. See how the top menu has now changed to About, Posts, Photos, YouTube and More as Google curates the content you create. Note also that you can view your Profile as Yourself , Public or as someone of your choice. You can choose who to share each post with. Click the ‘About’ tab. You can add further details about yourself here. You can also personalise your Profile by changing the (large) cover photo. Like Facebook, people can comment on, share or +1 (similar to ‘Liking’ on Facebook) a post. You may have seen a +1 icon at the bottom of many webpages enabling a fast way or sharing interesting stuff! Clicking on the +1 button on your Profile (could be under More) will display content that you have +1ed. I notice from reading some of your blog posts that many of you have areas of interest that you are keen to discuss with others, so here is your opportunity to get those conversations going! Please post a link to an article, video, website, or any resource you have discovered and explain why you find it interesting, how you have used it in your work or how you could see it being used. Then please take the time to look at what others have posted and leave a comment or, even better, ask questions and start a conversation. I’ve shared a video that explores Google+ in more detail. What do you think? 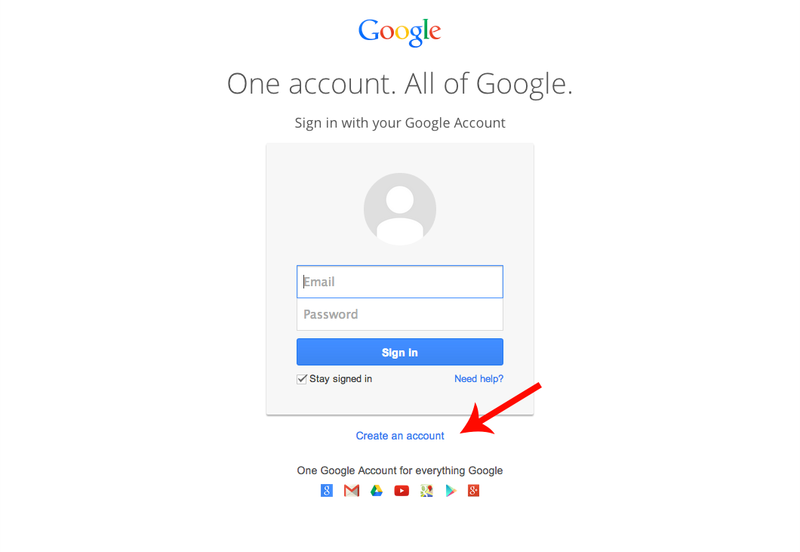 Keyskills: How easy did you find setting up a Google account – or did you have one already? How did you find posting content? Did you encounter any problems? 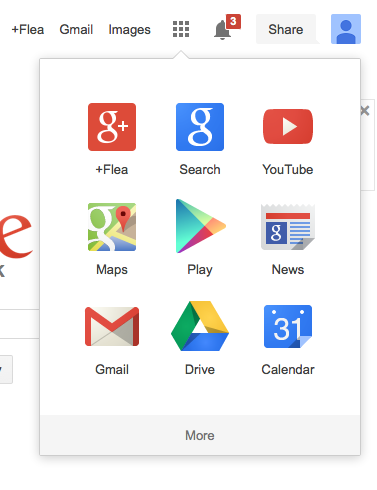 Profession-specific: Would Google+ be a suitable tool for your uses? Are you using it already and, if so, what for? Could it be useful for supporting teaching and learning? Evaluation: Do you have a Facebook and/ or LinkedIn account? How does Google+ compare? Can you see any advantages/ disadvantages? Integration: Apart from Search, have you used any Google tools previously? Can you see yourself using Google+ or do you feel that everyone is already using Facebook, so there’s no point? Hi, it’s Michelle Reid here, taking over the post for Week 2! The second week of LD5D explores further how WordPress can be used to create and maintain your professional online identity through considering the type of content you want to share and the ways in which you want to reach your audience. WordPress is a flexible tool and can be used in a number of ways to create both pages and posts. Fixed pages are a ‘broadcast’ medium enabling you to disseminate information to your audience for them to consume. Blog posts allow you to produce more dynamic content that your audience can comment upon and interact with. To give two examples from my context at the University of Reading – our Study Advice study guides are based on core study principles; we don’t expect them to change so we make them available as a series of webpages that we can update occasionally to include links to useful further resources we find. In contrast, our University of Reading Library has a news blog to alert people to new developments in the Library and seek user feedback on these changes. These examples are both part of a main university content management system which manages Reading’s ‘corporate’ webpages and blogs. So why might we as Educators or Learning Developers need additional professional blogs or websites beyond those we may maintain as part of our ‘service’ or role? This week you have the chance to experiment with creating both static pages and blog posts in WordPress, and consider when and why you may want to use these different modes. Before creating pages and posts, it is worth considering the main purpose and the main audience for your blog or website. (Of course for LD5D you have a ready-made purpose and audience, as you are using your blog as the forum for reflecting on the tasks each week and for communicating with fellow participants). However, you may wish to think about the potential uses you have for a personal professional blog or website in your wider role: Communicating with colleagues, fellow learning developers, students? Disseminating research, sharing tips, motivating yourself to write, or working out your views on issues that concern you? An online identity is like the theme or ‘angle’ that gives coherence to your blog or website. It is something that can be embodied through the visual appearance, feel, content and ethos of your blog or website. To take an off-the-wall example from fashion blogging not education, see Fashionably Light. This may not be to everyone’s taste (uber-cute minimalism!) but what I like about this is the way the author embodies her message throughout all aspects of the blog from the title to the length of the posts. You have already experienced creating a blog post from Week 1, so you may wish to focus on adding some static pages to your blog such as an ‘About’ page , ‘Publications’ page or ‘Useful links’ page. In fact you may have already noticed that WordPress automatically gives you an ‘About’ page with default text. This doesn’t look very personal or welcoming so you might like to edit this first to contextualize yourself and your blog. Then feel free to experiment creating other suitable static pages. If you are planning to use WordPress to create a website, as opposed to a blog, you can set it to display one of your static pages as the front page instead of the rolling feed of your latest blog posts. You can watch this video on creating a static front page to find out more. 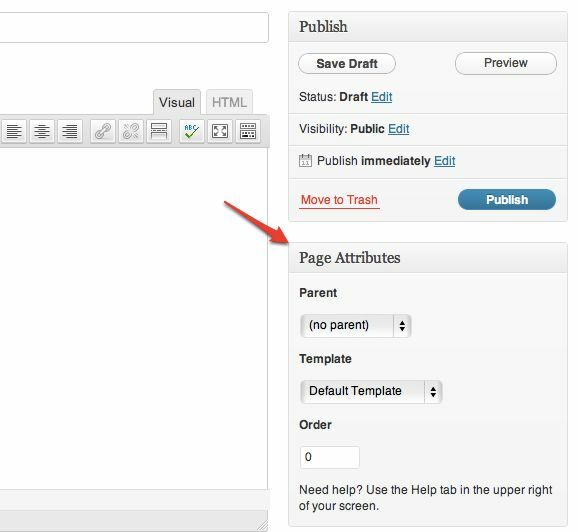 This enables you to set one of your existing pages as the ‘parent’ under which the newly created page will nest. There is no limit to how deeply you can nest pages, so it is worth spending a little time thinking about a simple and logical structure for your nested pages before creating them, as it is far easier to create the parent page first and the nested pages afterwards. You can also use the ‘Order’ box (see above) to change the order in which your static pages display. If you had three main pages on your menu bar (e.g. Publications, About, Useful links) and you wanted the About page to display first on the menu bar, assign it a ‘1’ in the Order box, then assign a ‘2’ to the next page, and ‘3’ to the final one, and so on. A great example of a blog used to share small pieces of research from an ongoing personal project. The blog format allows Peter to work through his thinking in a more informal and immediate way than other forms of academic publication. This shows how you can use a blog to collate tips and advice on a specific theme that students can then search to find the advice they need. Built using WordPress too! Amanda uses her blog as a professional diary and scrap book to chart the highs and lows of the digging season at Silchester. A really good way to capture the experiences of life on a large archaeological project, to keep people updated on the research as it happens and to give prospective students a taster of what it might be like on the dig. Worried that you might not have enough ongoing content for a blog or enough energy to write all the posts yourself? Enlist the help of your colleagues and use the blog format to share best practice or update each other on interesting stuff that you are doing! Keyskills: How have you found using WordPress to create posts and pages – did it enable you to do what you wanted? Have you created blogs or webpages using other tools elsewhere? How does WordPress compare? Profession-specific: Would a blog or a website be more suitable for your uses? What would be the purpose and audience for your professional website or blog? What kind of content would you want to share? What kind of theme or identity would you create? Evaluation: What are some of the challenges in creating an online identity? Do you follow particular blogs yourself? If so, what is it about these blogs that attracted you and why do you continue to follow them? Integration: How much maintenance might your blog or website need? If you are thinking of using a blog format, how often would you consider posting? Have you found any useful tricks, tips, or strategies for keeping your online presence updated? #LD5D Week One so far – How’s it going? Just a quick update to see how you are all getting on! I hope you’re finding the process of setting up an account and blog on WordPress pretty straightforward, and that it’s helping you think through some of the issues around creating a professional online identity which we raised in Week One’s post. Let us know in a comment here or by email if you have any questions! We have the first participant blogs registered already and linked to in the Blogroll which you can see now in the right hand column. Why not go and see how others have got on, compare their experiences with yours, and perhaps leave them a comment with some encouragement? Go and have a look at some of the other participants’ blogs to see what they thought – do they have any tips or advice, do you share their experiences on creating an online professional identity? Key skills: How easy did you find setting up an account? Did you have any difficulties, or discover any tips or tricks? Profession-specific: Did you have any concerns or reservations about creating an online identity for your professional persona? How did you decide on a username, blog title and avatar that felt appropriate? Evaluation: Did you feel able to present yourself in the way you wished? How comfortable are you being visible online in this way? Do you think a bit of a personal touch invites interaction and engagement, or do you feel it is inappropriate? Integration: How does the profile you set up here fit in with other ones you’ve used in the past, and how much of it will you carry forward in setting up future accounts, so that your overall digital profile is consistent? Given that many of us work with students, how separate do you think your professional and personal online identities should be? The posts here at LD5D offer a prompt for you to reflect on your own blog on the activities we’re doing – the real learning in LD5D is created by you, the participants, and the community of LD5D bloggers exchanging their experiences! So once you’ve written up your own post, do go and have a look at what others have written, and leave a comment on their blogs to let them know what you’ve learned from them! We’re looking forward to reading your posts! Welcome to the first module of LD5D! This module gets right back to the fundamentals of an online presence – we’ll be looking at how we as Learning Developers might use online tools to create, promote and maintain our professional online identities (including keeping them distinct from the personal and private identities we might also have online), as well as managing our digital footprint. This first week looks at creating your online profile, thinking about how to present yourself through usernames and avatars when setting up an account, and how to protect your profile with secure passwords. Whereas Web 1.0 technology enabled static web pages to be created for passive consumption, Web 2.0 tools enable us to produce as well as consume information, interacting and contributing to create more dynamic content. This entails setting up an account with a personal profile, and therefore creating and enacting an identity online. There are many reasons why this might play a really useful role in our work as Learning Developers, either a professional persona with which we engage with our students online, or as colleagues, taking part in the community of professionals through the internet. We’ll be thinking through some of the issues in setting up an online profile using the blogging platform WordPress. The blog you’ll be setting up is also the medium by which you will be participating in LD5D, through reflective posts on the tools we’re exploring and reading and commenting on the blogs of other participants, so it makes sense that the first tool we’re exploring is the blog! There are other free blogging platforms, of course, such as Google’s Blogger or Tumblr, and you’re welcome to explore those instead, just as you are welcome to use an existing blog to participate if you have one. We’ll go slow this week, as this is an important tool – it’s the one you’ll be using to participate in the programme, so we want to make sure you are able to get to grips with WordPress! Let us know in the comments to this post if you have any problems! 1/ Go to WordPress.com (not WordPress.org, that’s slightly different!) and click on ‘Get Started’. You’ll then be invited to set up an account and an associated blog (and watch the video if you like!). To set up an account, you’ll need to provide the following information: Email address, Username, Password and a name for your blog, which will also be its URL address. This is an important step, as your Username and Blog Name / Address will be a part of your professional identity online. Your Username can be used to log in to your account, but also to build your public profile on WordPress, to comment on other people’s blogs and to set up additional blogs on WordPress, so this is more important. Your Blog Name/Address need not be the same as your Username, but it could represent an aspect of your work, such as CPD, in this instance! Username. On some social media platforms, such as WordPress, you can either use a form of your real name, or a pseudonym. Which are you most comfortable with, and which is most helpful for professional purposes? For this programme, you may prefer to participate anonymously rather than under your real name, depending on how comfortable you are with a public online identity as a learner or professional* (*As moderators for the programme, we will need to know who you are to verify that you’re a Learning Developer and not spam, but this will be kept confidential!) You’ll need to choose a username and blog name which is not already taken by someone else, and which is distinctive and professional. If most versions of your real name are already taken, what might you use instead? Consistency. You may want to use the same username across several platforms, to create a unified online presence for your professional work, or for particular aspects of your professional activities. Before you set accounts up, you might want to see what usernames are free across the platforms you will want to use. Namechk is a really useful tool which will help you do this. Alternatively, you might want to use one username for professional accounts, and a completely separate one for your personal online presence so they can’t easily be associated. Password. Choosing a secure password is becoming very tricky these days, and you might be interested in others’ views on how ridiculous the situation is becoming. You could use a password generator, follow some simple advice on choosing a password and check how secure it is, or use a secure password manager. Remember not to select ‘remember this password’ on your computer, especially if it’s a shared machine! You’ll be sent an email to the address you provided, which contains a link to click on, activating your account. 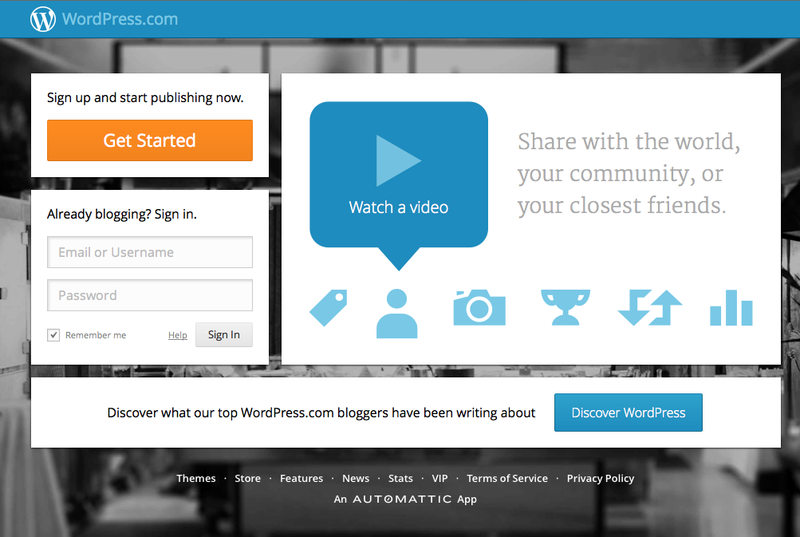 Your blog is now created, and you can explore the various settings in the Dashboard. You can find the Dashboard when you’re logged in by hovering in the top left hand corner. The first thing to do is to fill in your user profile so that others can find out more about you. Personal Information. 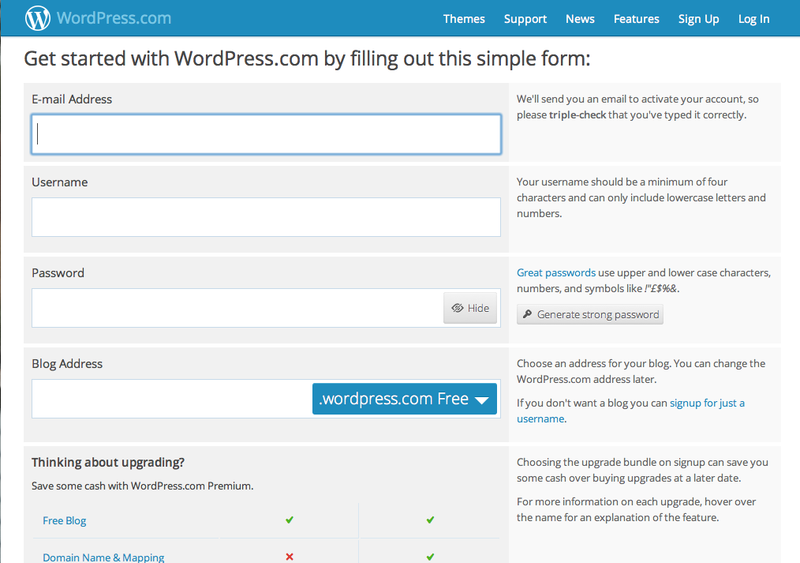 WordPress doesn’t ask for too much personal information, but other accounts (e.g. Facebook) may ask you for more personal information such as your real name, gender, age, location, interests etc. This is the deal you make; in return for free online tools and platforms, your data is used to build a profile of you so that they can target advertising to you. You need to come to a position you are comfortable with, on this issue, whether you opt out or accept the ‘deal’. Much of the information requested may be optional, and it’s up to you what you choose to reveal, but remember not to choose a password related to any of your public information, as it’s easier to guess! On the other hand, too little information makes you seem less ‘real’ and therefore people may be less likely to interact with you. The key things in this section are to fill in a short introduction in the ‘About You’ box, where you can identify yourself as a Learning Developer or LD5D participant (perhaps adding your institution in the ‘Location’ box if you wish) and the Gravatar, or photo icon which is associated with any post or comment you make. To create your avatar, or image which represents you, go to the dashboard, and in the left hand menu, to Users > My Profile > Change your Gravatar and follow the instructions to upload a picture using your WordPress username and password. The image could be your face, if you have a good, clear professional looking picture. It could also be an abstract image which somehow reflects your username. Don’t leave your profile picture as the default icon – this suggests that you are either very new to blogging or a spammer, and people are less likely to want to interact with you! If you are setting up an account for a service then the service logo is an obvious choice, but do check with your institution’s policy on the use of logos with the communications and marketing team. You can also choose a ‘theme’ for your blog to customise the way it looks, and add a tagline to explain a bit more about your blog’s purpose. 6/ Create your first post! Finally, remember to register your blog with us! We will then link it to this blog so that participants can find each others’ blogs, learn from each other and discuss! Once you’ve finished setting up your blog and have made your first post, why not go and read (and comment on) some other blogs by LD5D participants, and share your experiences? Register for Module 1 of LD5D! Registration for Module One of LD5D is now live! You can sign up using the online form here or below. We look forward to you joining us for the five week module, beginning 21st October! We’ll contact you before the programme begins with further information, and you can also click on ‘Follow the blog’ in the right hand column, to receive an email when this blog is updated. All information submitted here will be kept confidential. We will add your email address to the LD5D mailing list so we can contact you about the course. We will also need to match your name with the WordPress blog account you set up in Week One (see Step Two). Details of your role and institution will help us to tailor and evaluate the programme.